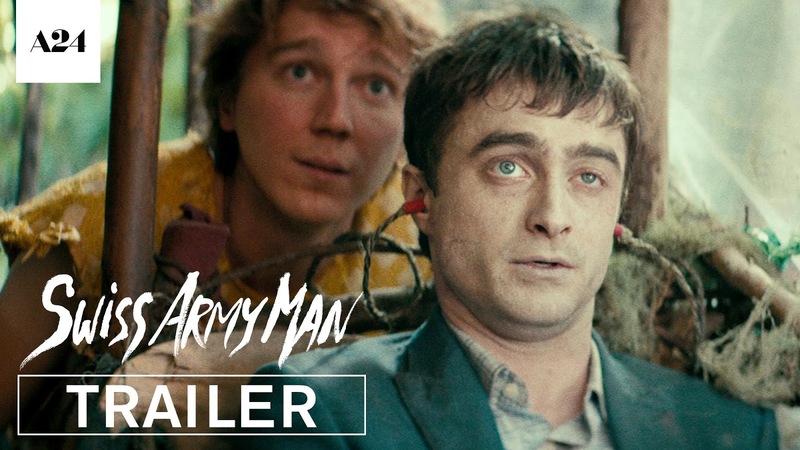 "Swiss Army Man is a 2016 American comedy-drama film written and directed by Daniel Kwan and Daniel Scheinert, starring Paul Dano, Daniel Radcliffe, and Mary Elizabeth Winstead. The film had its world premiere at the 2016 Sundance Film Festival on January 22, and began a theatrical limited release on June 24, 2016, before opening wide on July 1. The film has been positively received by critics. Dano plays Hank, a man who is attempting suicide after being lost on an island, when he sees a corpse wash ashore portrayed by Radcliffe. He develops a type of friendship with the dead body and discovers that he can manipulate the cadaver like a Swiss Army knife and ends up slowly reanimating him from the dead."